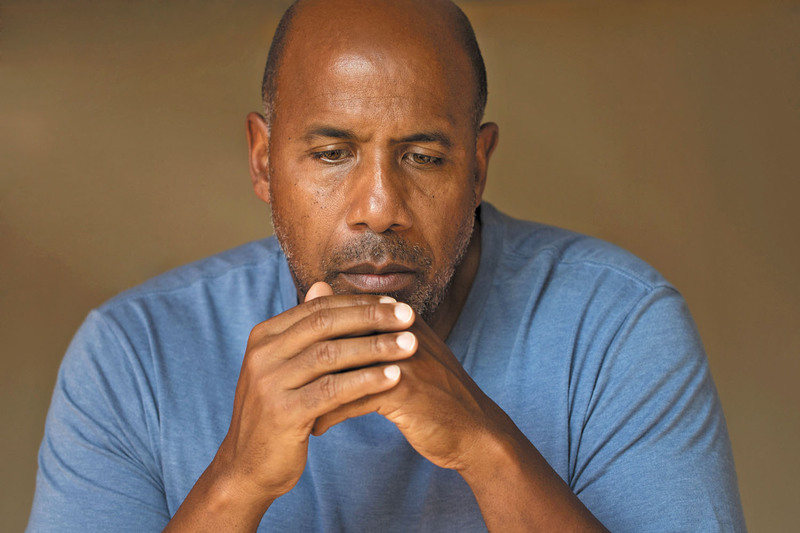 "The issue with many older men is they often just endure the discomfort of GAD, or think it's normal, and do not talk about the problem," says Dr. David Mischoulon, director of the Depression Clinical and Research Program at -Harvard-affiliated Massachusetts General Hospital. "However, left alone to manifest, GAD may lead to serious health problems, such as high blood pressure, depression, and addictive behavior like excessive drinking." One of the main issues with GAD is that men have trouble acknowledging it as a problem. Many believe it's natural to worry more about life issues as they age, and often they can function well enough with a moderate level of anxiety. They even may rationalize their constant worrying by believing it prevents bad things from happening. This may explain why only about 43% of GAD sufferers get treatment, says the ADAA. The first step to dealing with GAD is to acknowledge you have it. "Many men understand what's causing their fear and worry, but often don't want to face it," says Dr. Mischoulon. Next, he or she explores negative thinking patterns that trigger your feelings of worry and helps you develop strategies to limit destructive thoughts and reinforce positive ones when anxiety occurs. Anti-anxiety medication is also used to help increase certain brain chemicals that are associated with a person's ability to relax and feel calm. Lifestyle approaches are sometimes added to a person's treatment to help alleviate GAD. These might include exercise, mindfulness meditation, art therapy, or expressive writing (in which you write about your fears and worries). When it comes to GAD, you should never feel pressured to "tough it out" and expect it to go away on its own, says Dr. Mischoulon. "GAD can worsen and lead to more complicated problems, and they certainly reduce quality of life. For older men, the right treatment can help them to maximize their golden years." For the latest and most effective treatment approaches for anxiety disorders, including cognitive behavioral therapies, psychotherapy, and medications, buy the Harvard Special Health Report Coping with Anxiety and Stress Disorders.